Whatever your plans are this weekend (if you’re in Cape Town) make sure you squeeze in a visit to the sweetest new spot in Sea Point. Crumbs & Cream is the dreamy creation of sisters, Shahar and Or Peled and myself and my children are eternally grateful to them (can you guess we’ve been back more than once). 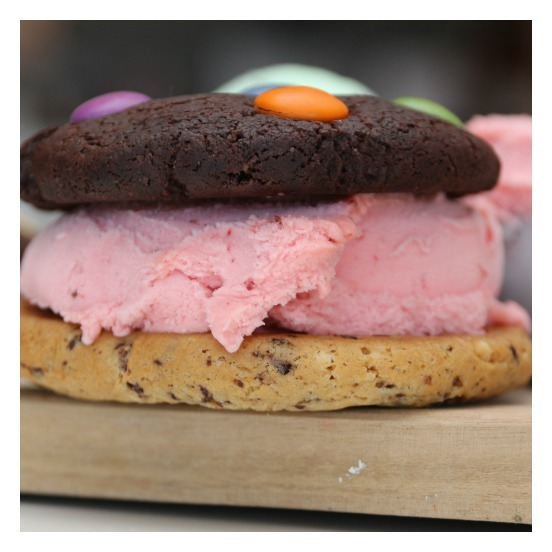 Think gorgeous homemade ice-cream (and I do mean incredible Italian-style gelato) wedged between the chewiest, most delicious freshly baked cookies to make the ultimate ice-cream sandwiches. Their flagship store comes on the heels of a successful mobile operation at the V&A Waterfront’s Watershed Market. 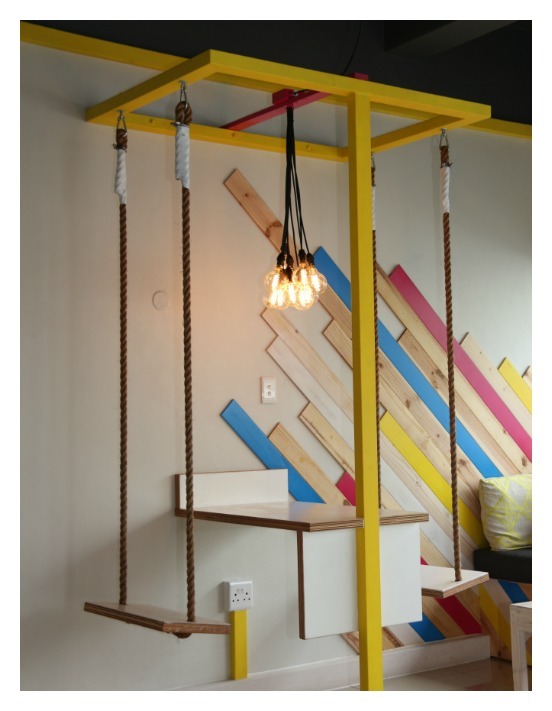 It’s a cool and compact and colourful little place with quirky design elements including comfy window seating and swings instead of chairs. 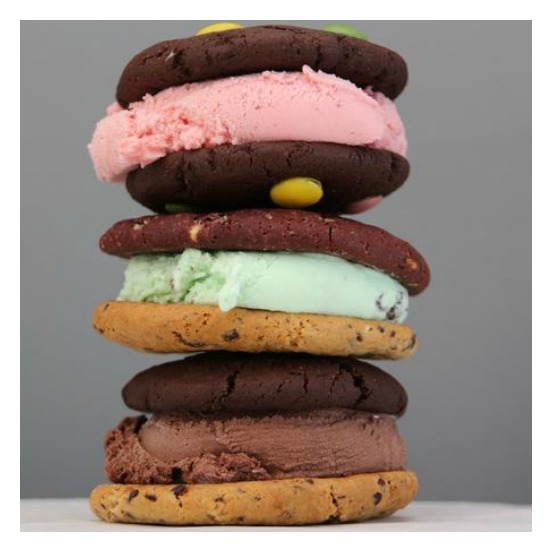 There are fourteen cookie flavours (I can vouch for the chocolate chip, brownie and mint cookies, yummy) and loads of delicious ice-cream flavours (chocolate, mint, French vanilla, Turkish Delight, strawberry, hazelnut, divine sorbets… You get the idea). My suggestion would be go for two different cookies to wedge your scoop of ice-cream between. My current favourite combo is choc fudge and chocolate chip cookies with French Vanilla in-between, but you should also give the bright green mint cookie a go – it’s sublime. 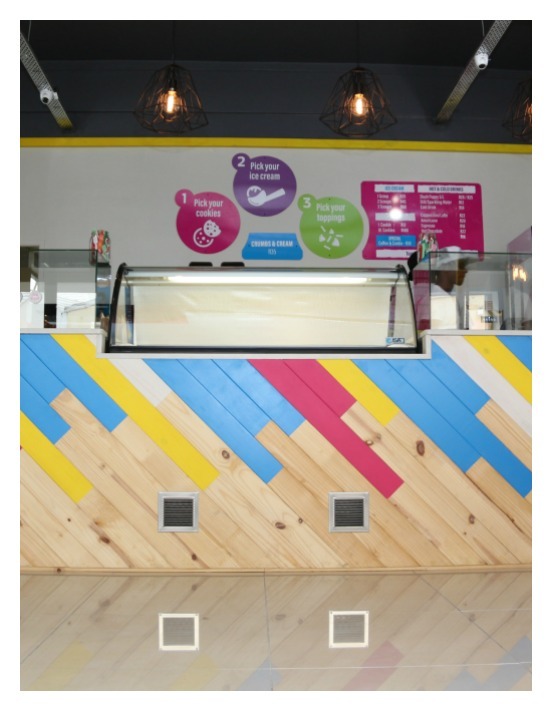 FYI, they also do vegan and banting cookies as well as vegan sorbet and sugar-free ice-cream. 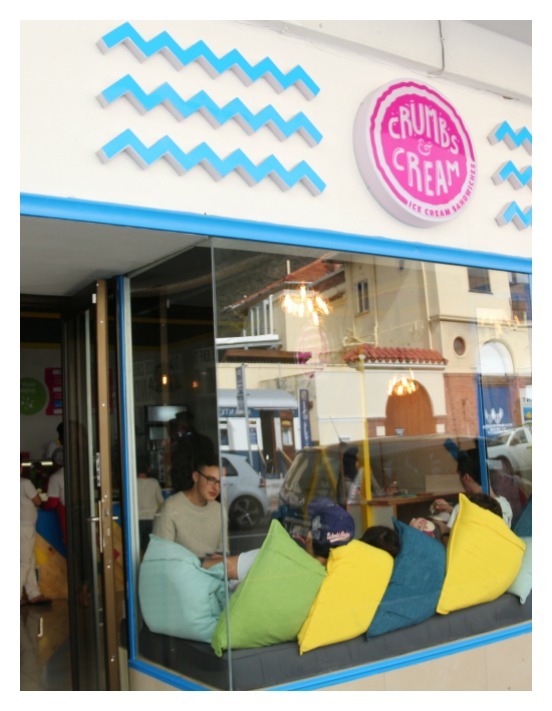 Crumbs & Cream is at 16 Regent Road, Sea Point and visit their Facebook page for updates, specials and new flavours. I know it’s still early…but I think I need one…NOW!!! Oh just go on and take my money!!! Looks and sound yummy! Could easily swap my healthy greens based breakfast smoothie for one of these instead and just kickoff the weekend with a bit of decadence. Luckily for me, Sea Point is too far to drive to do this now but will give it a raincheck.